Exactly two years ago, the Reserve Bank of India (RBI) imposed lending restrictions on Kolkata-based United Bank of India. The reason: Its asset quality deteriorated massively, return on assets (RoA) turned negative and its capital adequacy ratio reached the bare minimum level. UBI has managed to stage a recovery of sorts but it is not out of the woods yet. Meanwhile, the RBI has clamped down on yet another state owned bank, Indian Overseas Bank. This Chennai headquartered bank has seen its capital adequacy plunging below nine per cent, NPAs ballooning to over 10 per cent and return on assets taking a hit, sliding below 0.25 per cent. The two-state owned banks in question witnessed considerable deterioration in their key performance parameters when the RBI took corrective measures. 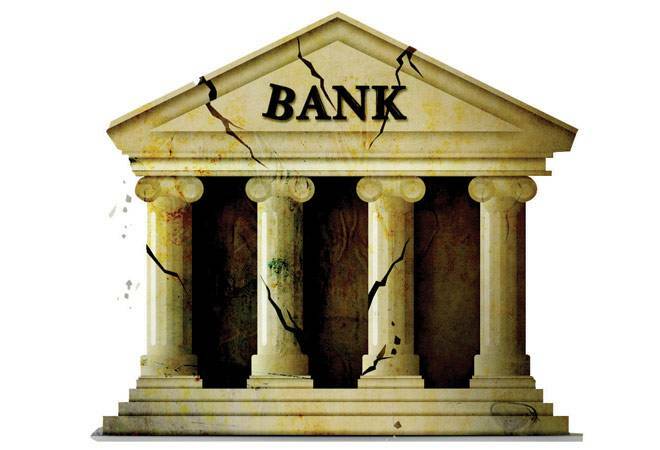 Are there more skeletons in the PSU banks' cupboard? "Possibly more," says a senior private banker on condition of anonymity. There are also legacy issues, according to Abizer Diwanji, National Head ( Financial Services ) at EY India. "What they (PSU banks) need urgently is a faster turnaround in their stressed assets portfolio. They need to create better credit management system and warning signals and also a robust recovery policy," says Diwanji. The banks who appear vulnerable include Central Bank of India, Dena Bank, Allahabad Bank, Andhra Bank and Bank of India. Allahabad Bank, for instance, has a capital adequacy ratio (CAR) of only 10.22 per cent. In contrast, leading private banks, including ICICI Bank, HDFC Bank and Axis Bank, have a CAR of over 15 per cent. The capital issue was partly addressed by the government when it announced the 'Indradhanush' framework for transforming PSU banks in August. On the cards is a capital infusion of Rs 70,000 crore over the next four years. The other measures under the 'Indradhanush' initiative, such as appointing professional CEOs and board members, are also expected to yield results over the longer term. In the short run, banks have no option but to preserve capital and arrest NPAs. The bad loans in the system have jumped from 2.36 per cent four years ago to a high of 4.62 per cent. Similarly, restructured assets have grown to 6.44 per cent. Together, the total stressed assets in the system (NPAs and restructured portfolio) have reached 11 per cent of the total advances. "There are also no robust systems for screening of projects, their viability, industry trends and also promoters' background check," says another banker. In fact, the RBI has taken a number of steps to address the problem including early detection of stress, encouraging sale of NPAs by banks to Asset Reconstruction Companies (ARCs), strategic debt conversion into equity, joint lenders' forum etc. "Our ways of dealing with distress have been very, very slow , murky and to some extent unfair. We have taken some steps, but government is probably taking bigger steps by bringing the bankruptcy code. If that happens, we have a proper system of redress," RBI Governor Raghuram Rajan told Business Today in an exclusive interview last month. The present state of affairs gives the government another reason to push ahead with consolidation in the PSU banking space by merging smaller banks with larger entities.